Need to crop a video? It often happens that the videos we shoot have some imperfections – like unwanted objects in the background. In many cases, all you need to do to get rid of those objects is to crop the video frame. «But how do I crop a video?» you might ask. You just need to get yourself a reliable video editing program. 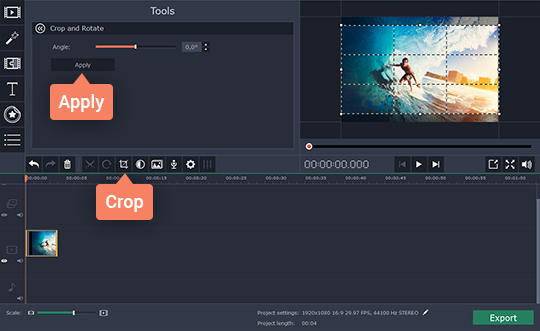 There are many video cropping tools that can help you out, but we recommend Movavi Video Editor Free. It’s free video cropping software for PC and Mac that lets you do many video editing tasks: rotate, trim, and zoom, remove unwanted parts, add special effects, and much more. If you want to crop video for free, download Movavi Video Editor Free and follow our instructions below. Open the file you’ve downloaded and follow the on-screen instructions. When the program is installed, open it and move on to the next step. Click Add Media Files and upload the video you want to crop. 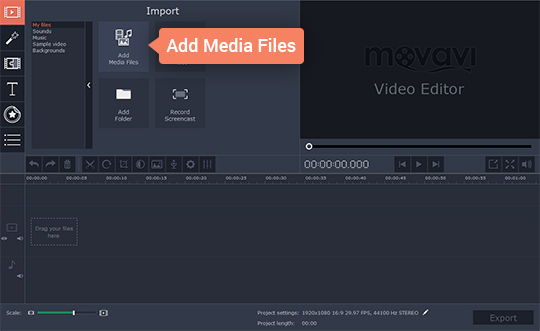 Movavi Video Editor Free supports all popular video formats, including AVI, MP4, MOV, and many more. The file you’ve added will appear on the timeline in the lower part of the program window. So, how to crop the size of a video? It’s easy! Select your video on the timeline and click the Crop icon as shown in the picture. Adjust the borders of the frame in the preview window to mark the desired final frame area: you can change the width and height of the frame by dragging on the little white circles. When you’re done, click Apply. To save your movie, click the Export button, choose the desired output format, and, finally, hit Start. Now, if someone asks: «Can you crop a video?», you’ll know the right answer. With Movavi Video Editor Free, you can easily crop video on Windows 10 or Mac OS X 10, as well as do many other creative tasks.